The appearance of your place of business is part of your company image. Your brand is built not only in those areas which your customers see, but also in the parts of the office where employees work. While the economy is still in the recovery stage, a complete renovation might be out of your company’s budget. However, getting your carpets cleaned involves a far smaller invention but can make a huge difference to the interior of your office. Carpet Cleaning Merton has competitively priced carpet cleaning and stain removal services that will go a long way into creating a more professional and appealing environment for your customers and employees. Carpet Cleaning Merton has been building partnerships with Merton businesses of all sizes, by helping them project the kind of image that they desire. Our steam cleaning services offer remarkable results in restoring the life into old and grimy carpeting and lifting off all the stains and marks that build up over time. With people coming in and out off the streets, it’s inevitable that dirt and dust from the outside gets brought into your office. Most of this accumulates in the fibres of your carpet. Carpet Cleaning Merton’s steam cleaning service has been developed especially to extract the layers of dirt right out of your carpet. A clean, spotless carpet in your place of business will help build your company’s image in the eyes of customers and build their confidence in the quality of products or services you can deliver them. *The costs above are valid about Merton. They include the required labour (cleaning hours). If additional time is needed, then supplementary costs will be applied. Minimum charge applies. Quotes over the phone are formed based on the supplied information. A visit from Carpet Cleaning Merton will not only help improve your image, it will also make your business premises a much healthier place for employees and customers. The dirt that makes your carpet look dusty and grimy also provides a breeding ground for bacteria and other microbes that can endanger the people in your premises. Our steam cleaning service, with its high temperatures and pressurized infusion and extraction, sterilizes the fibres in your carpet, killing all the nasty germs and microbes. 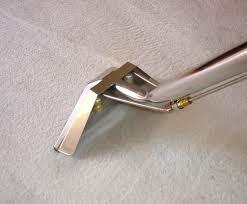 Why trust Carpet Cleaning Merton with the carpets in your office? Our many commercial clients would say that it’s a combination of our services and our service. 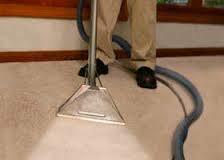 With many years in the carpet cleaning business, we’ve become experts at steam cleaning and stain removal. Our cleaning crews are experienced and have the necessary knowledge to handle any type of carpets and to carry out their work as quickly as possible. You can also count on having a positive experience when dealing with our friendly and professional employees. At Carpet Cleaning Merton, we aim to satisfy our customers’ expectations in terms of making significant improvement to your carpets and office, as well as in our ability to give them the best quality at the most competitive prices. We also understand that time means money to your business, so we’ll work around your operating hours to find the best time to schedule a carpet cleaning. Plus, our 100% satisfaction guarantee means that your business has nothing to lose. Call Carpet Cleaning Merton to start working on your office revamp today.